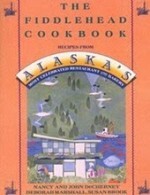 My goal is a comprehensive list of Alaska food blogs. To submit additions or corrections to the list, or to request changes in the description or picture I’ve used in the list, please contact me. 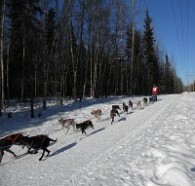 Alaska Foodie – Cliff Murray reviews restaurants in Anchorage and, occasionally, other places in Alaska. Alison’s Lunch – Alison Arians is a professional bread baker (Rise & Shine Bakery), farmers’ market promoter, cookbook author, photographer, and gardener. 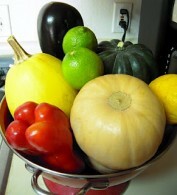 On her blog, Alison writes recipes and stories to inspire and encourage cooking with vegetables. Anchorage Food Mosaic – The Anchorage Food Mosaic’s mission is to build and celebrate community through cultural foods. AFM believes that just as farms must embrace multi-cropping to be healthy, our community must embrace and nurture the city’s “mosaic” of people if it wants to thrive. The AFM website features different community members through photos and traditional recipes. Arctic Garden Studio: A Fairbanks Food, Art, and Garden Journey – Nicole Pearce lives in “the quintessential Alaska cabin” where she takes glorious photographs and cooks delicious food. Baked Alaska: A blog about cooking, eating, and baking in Alaska – Cindy Ruth lives in Eagle River. She cooked her way through Marcella Hazan’s Essentials of Classic Italian Cooking, and is now working her way through The Flavor Bible, by Karen Page and Andrew Dornenburg. Chena Girl Cooks: Serving up cozy comfort food from a tiny Alaska kitchen, one helping at a time – Heidi was born and raised in the heart of Alaska near the Chena River. She’s a lawyer by day and self-taught home cook at night with a knack for tasty, uncomplicated food. Coleen’s Recipes – Coleen is an Alaskan home cook presenting “everyday family recipes, nothing fancy.” She likes to bake and has lots of dessert recipes. Eats Alaska – Eclectic exploration of Alaska foods, foodways, heritage, and food historic sites; addressing what people still grow, harvest, catch, cook, and eat in Alaska. Fantastic Mr. Feedbag – Fourth generation Alaskan Mr. Feedbag (aka Leo Helmar) candidly reviews Juneau restaurants while his sister, Margot Tenenchop (aka Patrice Aphrodite Helmar) cooks and photographs amazing meals in a tiny 7th Street kitchen, occasionally channeling her Greek grandmother. Food Lover-The Good, Bad & Ugly on Alaska Eateries – Anchorage resident Tammy reviews local restaurants. Hey What’s For Dinner Mom? – Laura refuses to microwave, won’t eat food from squeeze pouches, and avoids ‘real flavor added’ products. She lives in Palmer and is on a quest to find good food for kids and adults alike. Hungry Little Blackbird: a foodie’s adventures in the last frontier – Megan lives in Anchorage and is “a writer by trade and a foodie by compulsion.” She writes about food, recipes, trends, chefs, and casual cooks. It’s Not all Bento – Susan enjoys testing recipes and menu planning, and posts those recipes that work for her family, often focusing on weight watcher friendly foods. MAID in Alaska – Megan in Wasilla posts gluten, dairy, corn, soy, potato, tomato, peanut, and (mostly) refined sugar free recipes. Meals with Midgi: Recipes, tips and techniques on food and amazing kitchen creations – Midgi lives and cooks in Juneau, Alaska. 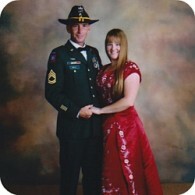 Mrs. Mama Hen – Conni is an army wife to a soldier husband, currently based at Fort Wainwright, Alaska. 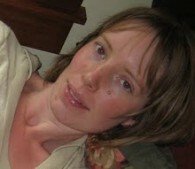 She’s an organic Christian and homeschooling mom of three. 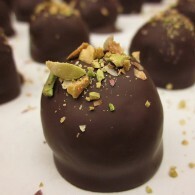 Her blog includes many recipes, most with step-by-step pictorials. Our Silly Old Lives – AK Mama of 6 lives in the Mat Su Valley and writes about her change to country living, complete with recipes. She now grows a garden, raises chickens and goats, makes her own cheese, and has started canning. 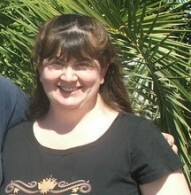 She also runs her own business, homeschools her children, and is a devout Orthodox Christian. Salmon at Seven – Erin Pennings’ Salmon at Seven is the culmination of many hours and months of blogging at EKat’s Kitchen. The original mission of EKat’s Kitchen was to create a log of Erin’s favorite healthy recipes to keep her healthy; and as it – and she – grew, it became a place of community, a place for Erin’s creativity to blossom. 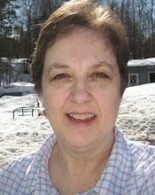 Sandra’s Recipes – Sandra is from Yakutat, Alaska and has lived in Juneau for over 30 years. 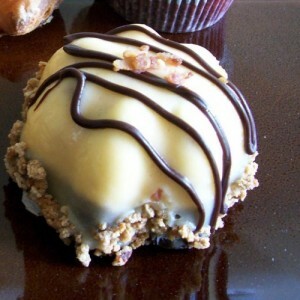 Her blog is for recipes Sandra has created over the years, as well as some from her husband and friends. 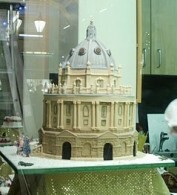 Simply Yum! – Ginny in Anchorage posts recipes, with a focus on healthy foods, that she has tried and enjoyed. Tart Little Piggy – Madara Hill is “an ex-pat Southerner stuck in Fairbanks” where “it’s very cold and very dark for much of the year.” Madara cooks “to stay sane” and writes life stories, deftly draped around recipes and culinary adventures. The Runner’s Plate – Anchorage resident Michelle Baxter is addicted to running and shares recipes for healthy foods, restaurant reviews, and recommendations for grocery foods. 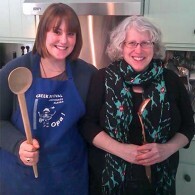 Two Sisters: The Recipes – Delicious recipes from the owners of the wonderful Two Sisters Bakery in Homer, Alaska. Wild Roots Homestead – In Fairbanks, Alaska, Emily and her husband have a small herd of dairy goats, chickens, and ducks. They are trying to produce as much of their own food as possible on 8 3/4 acres of boreal hillside forest. 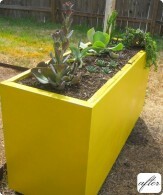 98% Organic in Alaska – Faith Kolean in Willow, Alaska blogs about nearly organic gardening, with recipes. 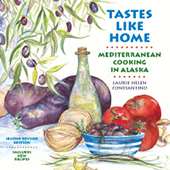 Adventures in the Mountains of Alaska: Tales of remote living in the wild country – Lisa Rae Stevenson raises goats, sheep, and chickens and sells meat, eggs, and herd shares for raw goat milk, cheese, and yogurt. She cooks, gathers wild edibles, and works hard to live on a mountainside without road access near Chickaloon, writing about it all. At Home in Alaska – Alaska Mom posts recipes for cookies, cakes, and desserts of all kinds, interspersed with pictures of Alaska scenery and wildlife. Camai B&B Happenings – Caroline Valentine runs Camai B&B in Anchorage and posts a few of her breakfast recipes. 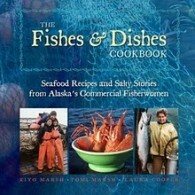 Fishes & Dishes – From time to time, the blog for Fishes & Dishes, a cookbook by Kiyo and Tomi Marsh and Laura Cooper, posts Alaska seafood recipes. Frozen Moments – Barbra Donachy lives in Point Hope, 200 miles north of the Arctic Circle, and is “a photographer, an adventurer, a fisherman, a teacher, a learner, a baker, a sous chef, a hunter, and a writer” among many other things. 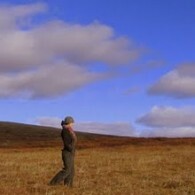 Her photographs are amazing and her stories of rural life and travels in Alaska ever interesting. She occasionally forays into food writing. Frying Pans and Snow Boots: Parenting and Cooking in the Far North – Jessy lives, works, and raises two small children in Alaska (and is pregnant with a third). She loves to cook and sometimes writes about her kitchen inventions. Good Deal Divas – Nichole Smith and Kara Altman are coupon clippers and bargain shoppers who tell you how to save money on groceries and everything else. Johnson’s Family Farm – Bill Johnson grows hydroponic lettuce, herbs, & microgreens in a controlled, commercial, self-sustaining indoor farm on Cushman Street in Fairbanks, Alaska. Rain Soaked: musings from a southern girl under northern skies – Jenny in Juneau raises babies, experiments with food and fabric, listens to music, and takes not nearly enough photographs. 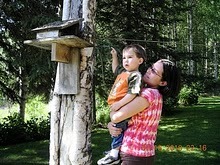 Scribbit – Michelle Mitchell writes about motherhood in Alaska; every Sunday she posts a recipe. The Mountain Runner Notebook – The highs and lows of young parents carving a life out of the Alaska wilderness, with occasional recipes. 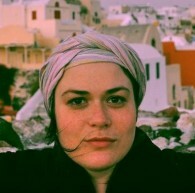 Tundra Gypsy – Mori lives on the Bering Sea coast and tundra in northwest Alaska. She knits, sews, bakes, takes pictures, loves her children, and writes about it all. Two Short People – Kariane lives in Anchorage and writes about motherhood in Alaska, posting recipes her children enjoy. Up North, Over Yonder, and Out of My Mind – “The slightly edited ramblings” of Steph from the Mat Su Valley, “a burnt out mom with work-related ADD on cooking, knitting, crafting, and other homey sorts of things” (unless she decides to write about something else). Wheat – Terri Carns of Anchorage, Alaska has stories, pictures, history, and recipes – all featuring wheat. Woodside Gardens – Jamie in Big Lake, Alaska lives on 10 acres of mostly undeveloped land, practicing strictly organic gardening to provide her family with the freshest, healthiest vegetables possible.